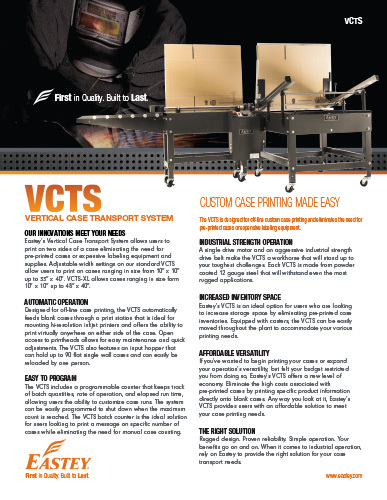 Designed for off-line case printing, the VCTS automatically feeds blank cases through a print station that is ideal for mounting hi-resolution inkjet printers and offers the ability to print virtually anywhere on either side of the case. 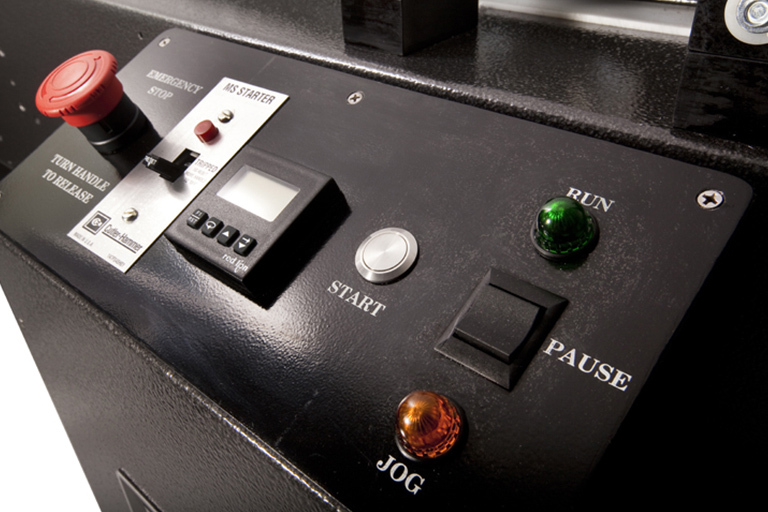 Open access to printheads allows for easy maintenance and quick adjustments. 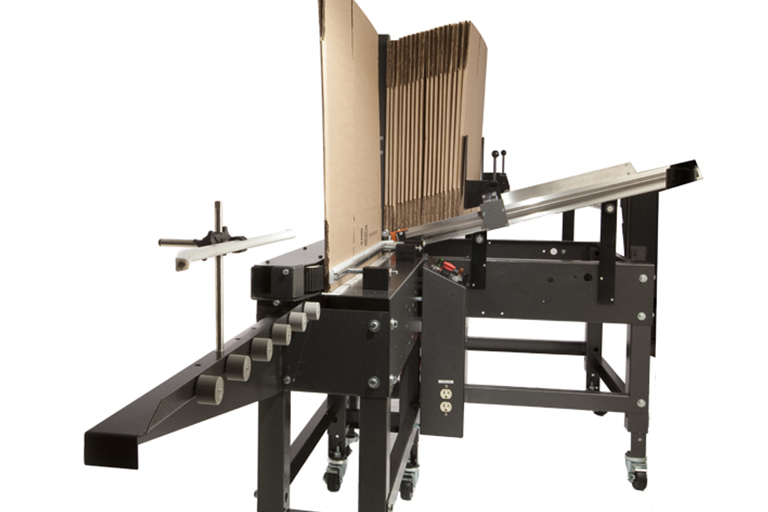 The VCTS also features an input hopper that can hold up to 90 flat single wall cases and can easily be reloaded by one person. 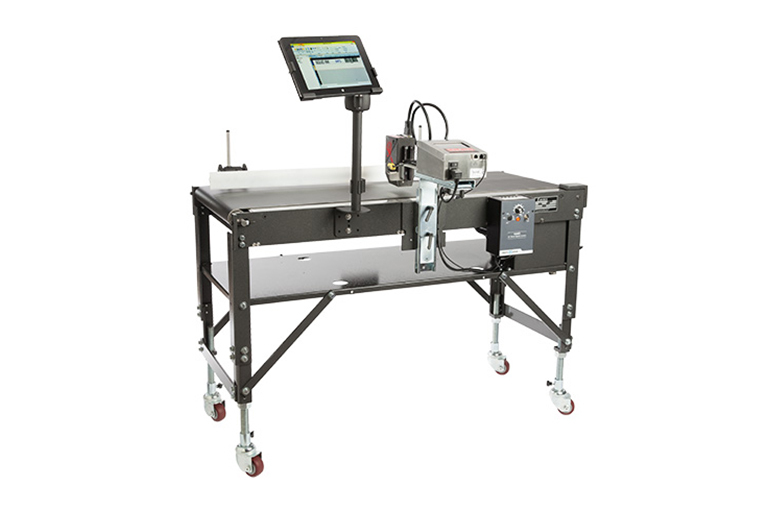 The VCTS includes a programmable counter that keeps track of batch quantities, rate of operation, and elapsed run time, allowing users the ability to customize case runs. 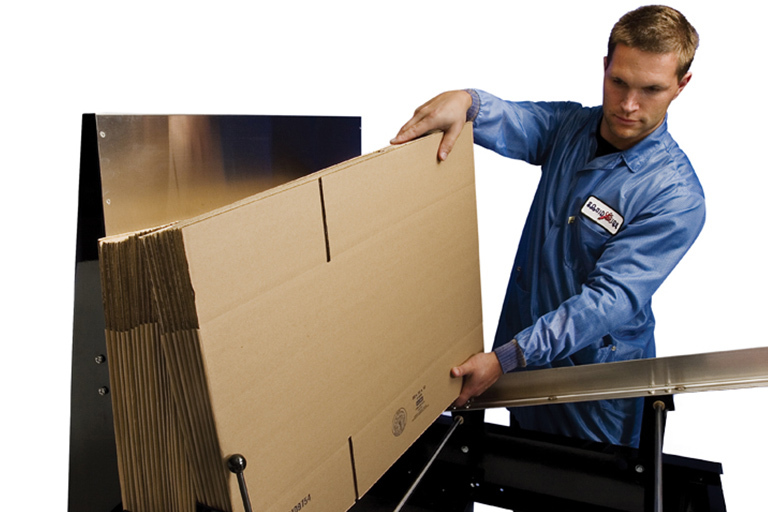 The system can be easily programmed to shut down when the maximum count is reached. 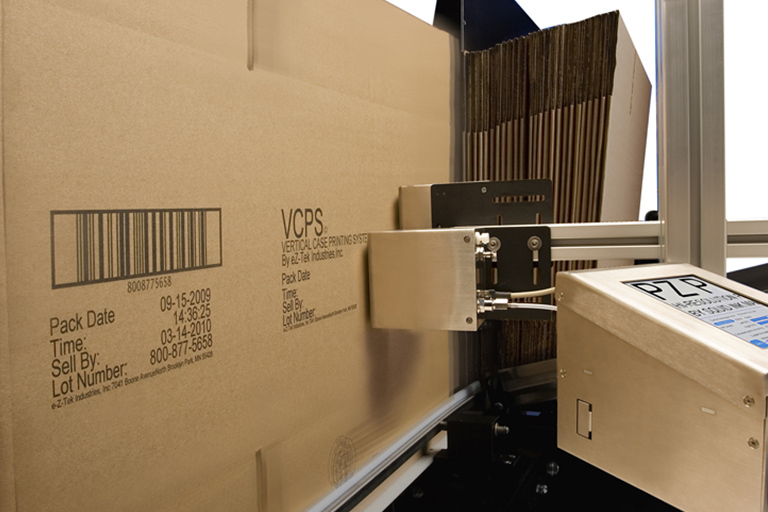 The VCTS batch counter is the ideal solution for users looking to print a message on specific number of cases while eliminating the need for manual case counting. 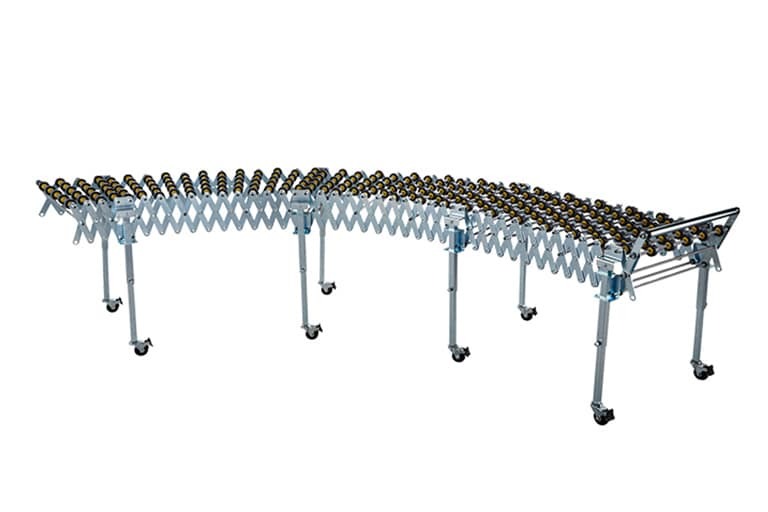 Industrial strength drive belts move boxes consistently at 72 feet/per min. 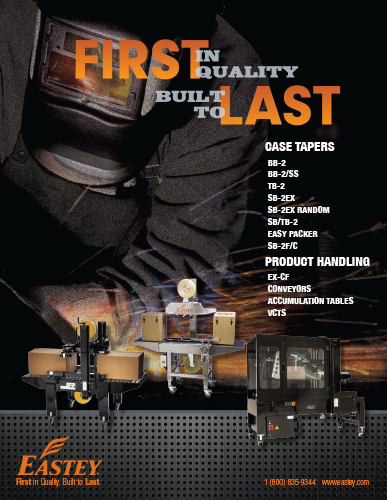 Simple and rugged control interface for easy operation. 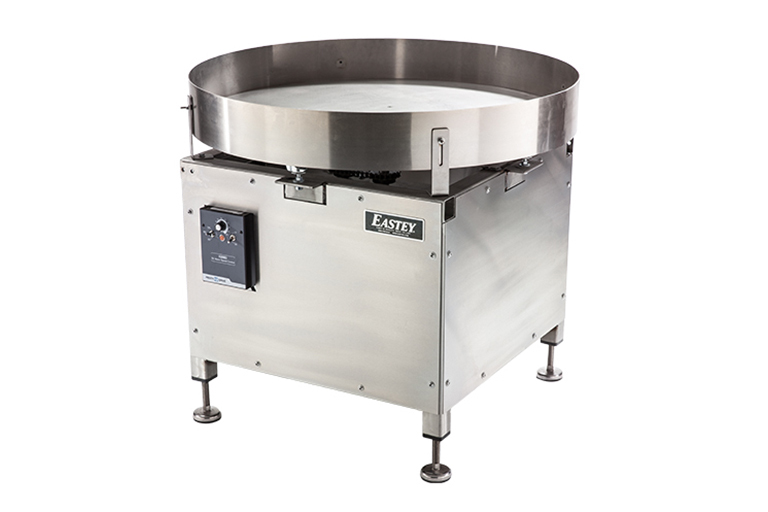 Easy to load input hopper holds up to 90 flat single wall cases and can be loaded by one person. 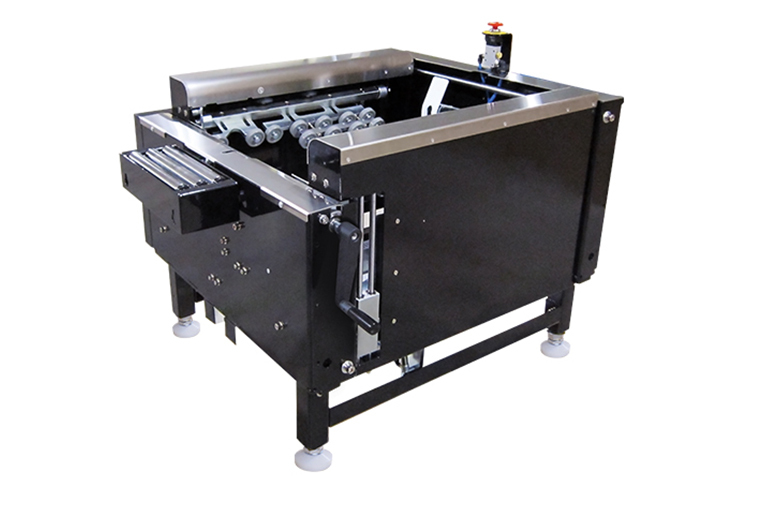 Designed for use with Industrial Ink Jet Printers. 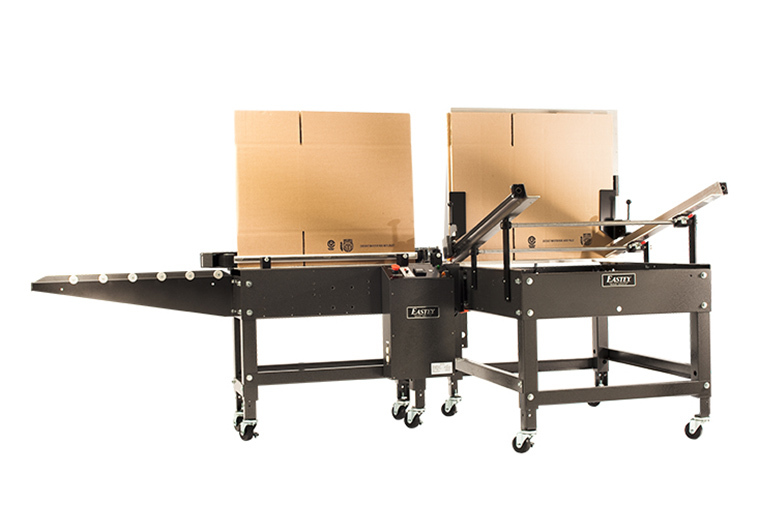 Allows printing on all four panels of the case.